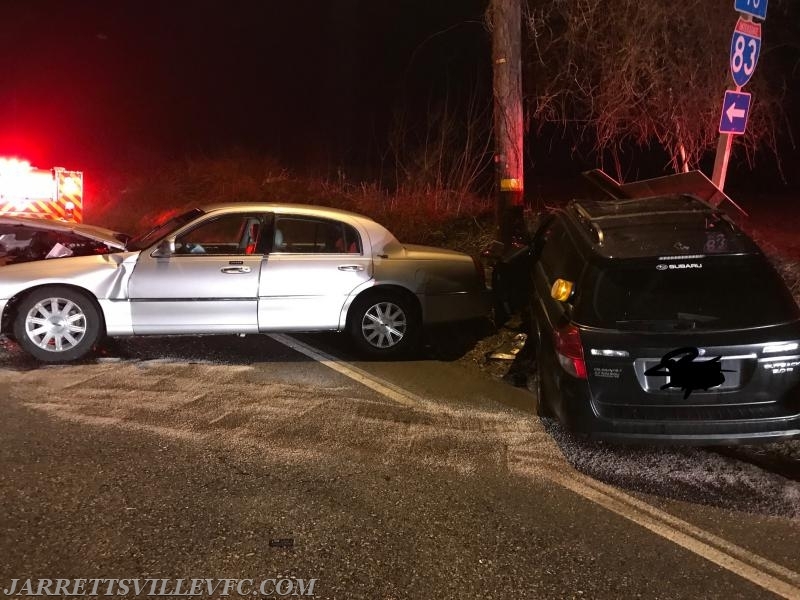 The Jarrettsville Volunteer Fire Company was alerted for a motor vehicle accident in the area of Route 439 & 23. First arriving units advised of a two vehicle accident at the location. A single patient was treated and transported to an area hospital for further evaluation. A small fluid spill was controlled by Rescue 751's crew. Units remained on scene for a brief period of time before being placed in service.